If you stroll along the Taiwan XinYi district, you would probably bump into the small cubic house shown above, GAP’s first pop-up store in Taiwan. Located right in front of the trendy department store ATT4FUN, the new “pop-up store” concept usually features a few limited items. Also called flash retailing, pop-up stores were first introduced by a Los Angeles-based apparel company, Vacant back in 1999. A pop-up store can run its sales from one day to weeks. Since its inception in Taiwan, it has become a popular marketing channel and a convenient way for retail companies to test the market. As there are lower costs invested into the temporary retail space, companies find it more cost efficient to use pop-up stores to gain product exposure, attract customer interest and experiment feasible store locations. As for GAP, the casual apparel retailer based in North America, pop-up stores have been one of their marketing choices, especially in recent years. 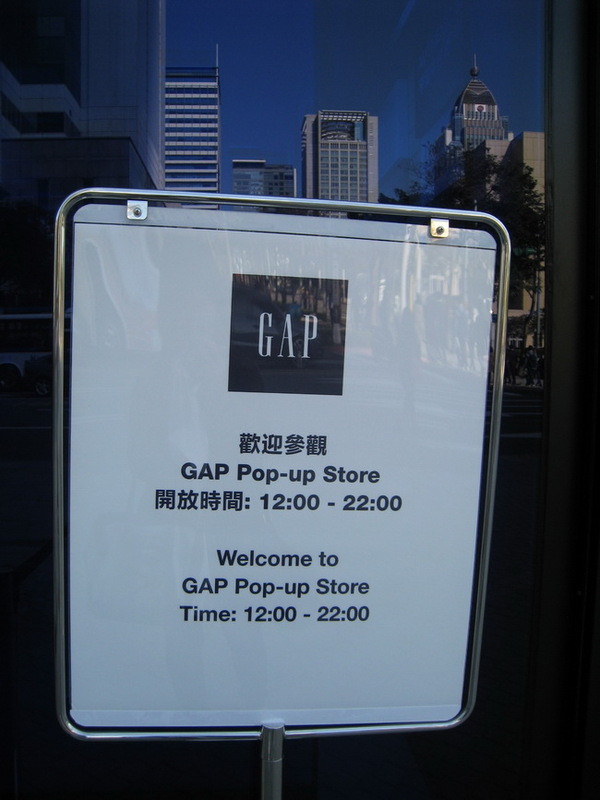 Some of its featured stores over the past few years include Gap’s 40th Anniversary pop-up store in London(2009), “Cool Hunting for Gap” in New York City(2010-2011), Gap’s first pop-up store in Hong Kong(2012), and the recent, Gap 1969 pop-up store in Taipei(2014). 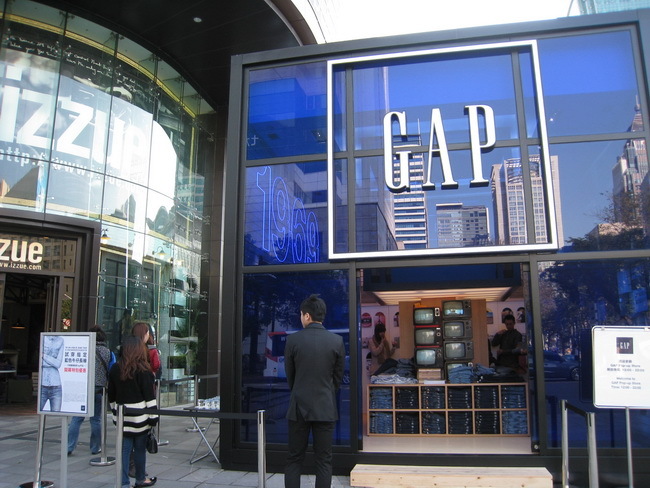 Taiwan’s Gap 1969 store is a 5-meter cube pop up store, and it currently features GAP’s classic jeans line. Visitors can get a 20% discount coupon after trying on any of the in-store jeans. The store will stay open for a month, from January 17 to February 17, and then be replaced by GAP’s grand opening at ATT4FUN in March. 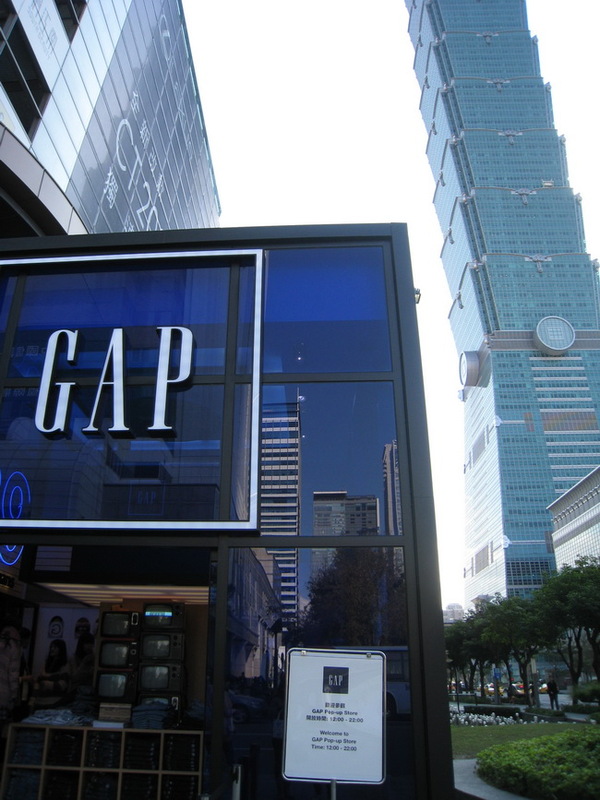 For trendy shoppers, if you are at Taipei, do drop by and grab a GAP classic jeans. Even if those jeans are not for you, you can also experience the American casual style of GAP’s first pop-up store here!